This rotation - elastic transmission element consists of a spring assembly with 3 layers, with each layer comprising 3 single springs with square cross section. 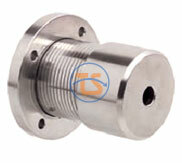 This spring assembly is linked by hubs / flanges - according to standard sizes. 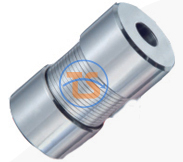 Compact with high torque transmission, Bamatec couplings offer lower inertia. Higher speeds are also possible. Standard models (completely in steel) can be used between -40 to +100 ºC. 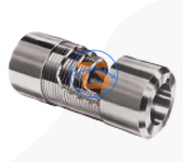 Special couplings cater to temperature upto +300 ºC. 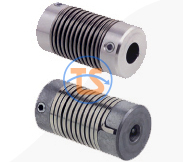 Torque capability – from 2.5Nm to 900 Nm, speeds upto 20,000 rpm and bore range from 4mm to 75mm Can be supplied in Stainless Steel, also.